The world's largest Viking ship in modern times is about to set sail across the Atlantic. Named after Harald Hårfagre, the king who unified Norway in the 10th century, the ship's Swedish captain Björn Ahlander was originally supposed to have ordered the great dragon vessel to weigh anchor from Avaldsnes in Norway's Haugesund on Sunday, but the departure was delayed by bad weather. And time is of the essence. Following in the historical tailwind of Leif Eriksson, the Viking thought to have discovered America centuries before Christopher Columbus, the ship has a long journey ahead, taking a route via Iceland, Greenland and Newfoundland before it finally drops anchor in the United States. "We've got one month because the only gap, if you don't want to battle low pressure and harsh winds, is May. That's your chance to make it across," Ahlander told the Swedish news agency TT on Monday. Towering above the grassy Salisbury Plain, its eerie rock monoliths are steeped in myth and magical stories, yet despite decades of research, the original purpose of Stonehenge remains a mystery. 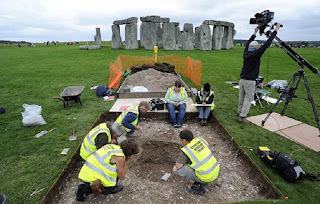 A new study by archaeologists, however, has suggested the imposing stone circle may have initially been used as a cremation cemetery for the dead. Construction workers have unearthed 600kg of Roman bronze coins, a unique and "hugely important" discovery according to experts. Routine building work in southern Spain unearthed a very unexpected find this week, when over 600kg of Roman coins were discovered. 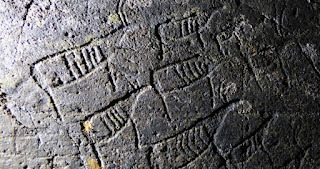 The find is "unique in Spain and perhaps the world" experts said of the coins, which were stored in 19 Roman amphoras or containers. "We have a team looking into the discovery right now, We believe it is hugely important and will have more information very soon," said a spokesman at Andalucia's Ministry of Culture in Seville told The Local on Thursday. From AD 865 to 879 a Viking army wreaked havoc on the Anglo-Saxon kingdoms, leading to political conquest, settlement on a substantial scale, and extensive Scandinavian cultural and linguistic influences in eastern and northern England. This critical period for English history led to revolutionary changes in land ownership, society, and economy, including the growth of towns and industry, while transformations in power politics would ultimately see the rise of Wessex as the pre-eminent kingdom of Anglo-Saxon England. A rare find unearthed in a garden in Long Melford could point to the village being the “missing link” in a chain of Roman forts, it has been claimed. A six inch tall figurine dating from the first or second century, known as a ‘pseudo Venus’, was dug up by volunteer archaeologists while they were working on a test pit at a property in the south of the village. According to a county council archaeologist, the statue would have had religious significance and is a very “unusual” find. Local heritage centre volunteers John Broughton, Kenneth Dodd and John Nunn came across the statue while they were carrying out a rescue dig in a garden that was due to be landscaped. Researchers at Bournemouth University have developed a new software technique to uncover 'lost' tracks, hidden in plain sight at the world's oldest human footprint site in Laetoli (Tanzania). The software has revealed new information about the shape of the tracks and has found hints of a previously undiscovered fourth track-maker at the site. Préalablement aux aménagements de la ZAC du Plessis-Saucourt par l’EPA Sénart sur la commune de Tigery (Essonne), une équipe d’archéologues de l’Inrap effectue, sur prescription de l’État (Drac Île-de-France), des recherches à Tigery (Essonne). 6 200 m2 sont ainsi explorés entre mars et juin 2016. Les fouilles permettront de libérer le terrain pour les travaux d’aménagement. La construction du 1er bâtiment (6 500 m²) réalisé par Alséi pour l’accueil d’activités (bureaux et locaux de production) pourra ainsi démarrer dès la rentrée 2016. Citizen science is a digital method, which has been applied to a range of big-data scientific problems. The Zooniverse is a key player in this; having first sought the help of the crowd in classifying galaxies almost a decade ago, it now boasts 47 different projects with well over a million users. The projects hosted on their site have been bringing to the forefront concerns over who exactly is allowed to participate in science. Even though the hierarchical structure of professional science still remains within most citizen science platforms (with the exception of the extreme citizen science movement), they have had the result of giving everyone access to the raw data of research, and an opportunity to demonstrate and develop expertise. The methods of citizen science are now starting to be used for humanities projects. Citizen Humanities is opening up the vast archives of history to the public. A repercussion of this development is that it leads to questions as to who gets to participate in researching history, and what it means to be an expert. Half of Western European men are descended from one Bronze Age ‘king’ who sired a dynasty of elite nobles which spread throughout Europe, a new study has shown. The monarch, who lived around 4,000 years ago, is likely to have been one of the earliest chieftains to take power in the continent. He was part of a new order which emerged in Europe following the Stone Age, sweeping away the previous egalitarian Neolithic period and replacing it with hierarchical societies which were ruled by a powerful elite. It is likely his power stemmed from advances in technology such as metal working and wheeled transport which enabled organised warfare for the first time. 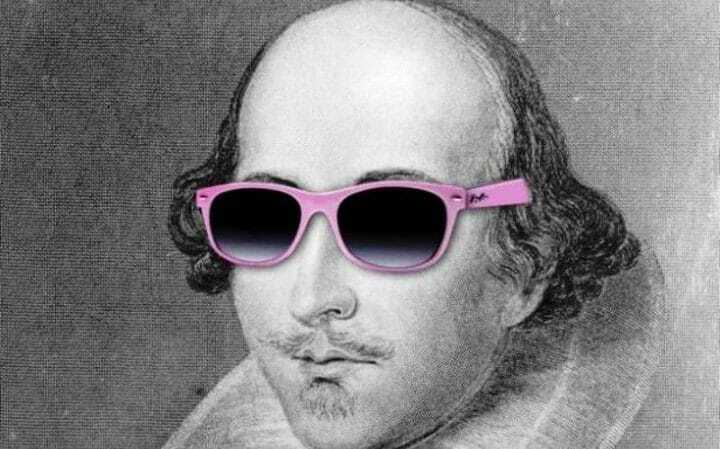 An archaeological dig is expected to find Shoreditch is the home of Shakespeare, putting Stratford-Upon-Avon and the Globe in the shade. The Museum of London Archaeology is leading a project to uncover and explore the remains of the Curtain Theatre, the 16th and 17th century venue where Shakespeare is known to have first staged Romeo and Juliet.Heather Knight, the senior archaeologist leading the dig on behalf of MOLA, said: “People often go to Stratford-upon-Avon to take in Shakespeare’s birthplace and his grave. I ended up in archaeology as a result of a long-held romantic notion of making great discoveries and solving mysteries. As a kid I always had my head buried in books, lost in the realms of the great ancient civilisations of the world. I never had fantastical expectations of archaeology, though. I didn’t think that I would travel the world and be a globe-trotting treasure hunter. And you certainly don’t get to travel in archaeology unless you are somehow affluent, have magical powers to secure funding, or know the right people in all the right places. None of the above apply to me, so I have been confined to archaeology in England and Northern Ireland. Don’t get me wrong, archaeology here is infinitely fascinating but let’s be honest, it’s not as grand and visually awe-inspiring as, say, the pyramids or Pompeii. Over here, at its most stellar, it can be just two different coloured soils side by side, but to the trained eye that tells us a great deal about what was going on thousands of years ago. The island of Anglesey has a wealth of archaeological sites of all periods. This EMAS Archaeology study tour will visit the most important sites of the prehistoric, Roman and medieval periods. Among the sites that we will visit are: the Neolithic and Early Bronze Age burial chamber, the rural Roman site and the 12th century chapel at Din Lligwy; the chambered cairn at Bryn Celli Ddu; the Neolithic burial chamber at Barclodiad Y Gawres; the Roman fort at Caer Gybi; the Roman watchtower and signal station at Caer Y Twr and the medieval priory at Penmon. Luke Irwin: “This is the most beautiful sort of unspoilt river valley and it’s sort of hidden away. On the hill which overlooks where we live there was a vast temple. Six miles away there was another vast temple. We are a mile from a Roman road. You can see undulations in the landscape and the general guess would be that this is a medieval building thing going on – until you find a mosaic. “There are three scenes on glass mosaics made of black tiles. Two things are very important among the elite class in the Roman period in terms of social activities: The first is the bath and the second is dinner. In the first scene, a black person throws fire. That symbolizes the bath. 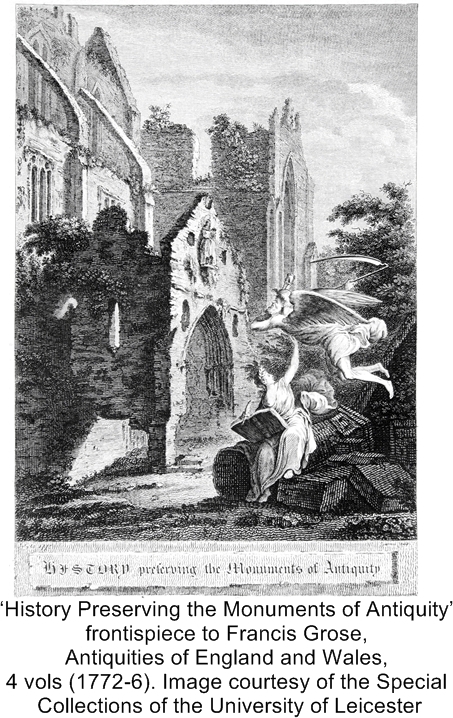 In the middle scene, there is a sundial and a young clothed man running towards it with a bare-headed butler behind. The sundial is between 9 p.m. and 10 p.m. 9 p.m. is the bath time in the Roman period. Did volcano eruptions tip Europe into Dark Ages? Back-to-back volcanic eruptions in the mid-6th century darkened Europe's skies for more than a year and may have ushered in the Dark Ages, according to finding to be presented Friday at a science conference in Vienna. "Either would have led to significant cooling of Earth's surface," said Matthew Toohey, a climate modeller at the GEOMAR Helmholtz Centre for Ocean Research in Kiel Germany who led the research. "But taken together, the two eruptions"—in 536 and 540—"were likely the most powerful volcanic event affecting the northern hemisphere climate over at least the past 1,500 years," he told AFP at a meeting of the European Geosciences Union. Their combined impact lowered temperatures by two degree Celsius (3.6 degrees Fahrenheit) during what is probably the coldest decade in the last two millennia, he added. This sudden drop, caused by a Sun-blocking blanket of sulphur particles in the stratosphere, had a devastating impact on agriculture, provoking famine throughout much of Europe and beyond. 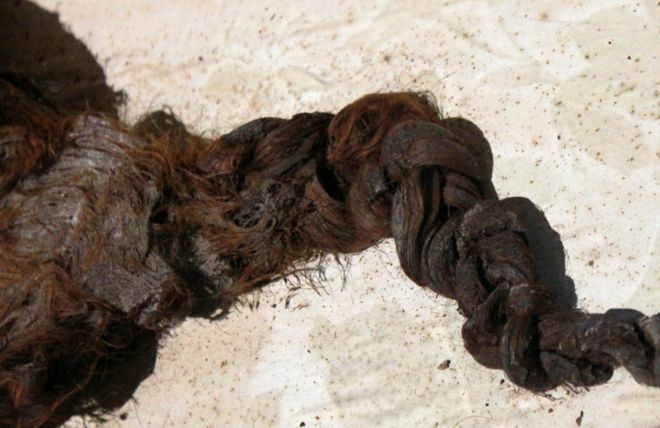 For the past few months, archaeologists have been testing a full head of hair found in a coffin. Is it the hair of a saint? In October 1839, the work of some gravediggers came to an abrupt halt when their tools hit something hard. It was a lead coffin. Inside they found some hair. Human hair. In the year 2000, a seven-year-old boy called Jamie Cameron went on a school trip to his local parish church, Romsey Abbey in Hampshire. It was where the gravediggers had made their discovery more than a century and a half earlier. He was taken to a display case and was immediately drawn to the full head of hair, which was still resting on the oak "pillow" on which it was found. "This is a view of the Irvine Town House site before the archaeological work begins, but after the demolition of the structures that used to stand here. This ground, destined for development, lies in the core of the medieval burgh of Irvine. As such, it offered an unrivalled opportunity for archaeologists to explore the origins of the town and the people who lived, worked and built our community over the centuries." AMERICAN MUSEUM OF NATURAL HISTORY—New research suggests that humans became the large-brained, large-bodied animals we are today because of natural selection to increase brain size. The work, published in the journal Current Anthropology, contradicts previous models that treat brain size and body size as independent traits responding to separate evolutionary pressures. Instead, the study shows that brain size and body size are genetically linked and that selection to increase brain size will "pull along" body size. 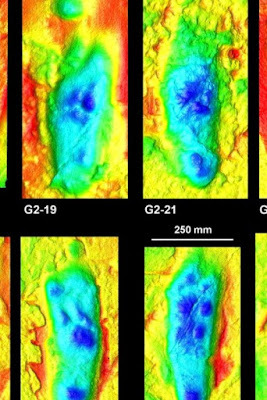 This phenomenon played a large role in both brain- and body-size increases throughout human evolution and may have been solely responsible for the large increase in both traits that occurred near the origins of our genus, Homo. 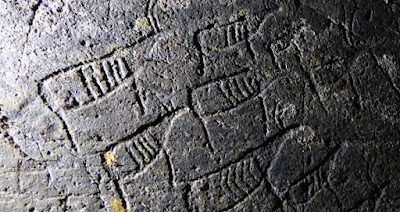 Three archaeological sites that may have been used by Vikings around 1,000 years ago were excavated recently in Canada. If confirmed, the discoveries would add to the single known Viking settlement in the New World, located at L'Anse aux Meadows on the northern tip of Newfoundland. Excavated in the 1960s, that Viking outpost was used for a short period of time around 1,000 years agoas well. Even so, pinpointing actual Viking remains or other clues of Viking settlements has been difficult, making the three sites — two in Newfoundland and the other in the Arctic — intriguing to archaeologists. In 1959 a preserved lung was found by archaeologist Michel Fleury in a stone sarcophagus in the Basilica of St. Denis, in Paris. At this site the kings of France were buried for centuries. Along with the lung skeletal remains, a strand of hair, textile and leather fragments, as well as a golden ring with the inscription “Arnegundis Regine”, were found. Among the grave goods, an elaborate copper belt was also discovered. The inscription on the golden ring showed the remains belonged to the Merovigian Queen Arnegunde. Arnegunde, Aregunda, Aregund, Aregonda or Arnegonda (c. 515/520-580) was a Frankish queen, the wife of Clotaire I, king of the Franks, and the mother of Chilperic I of Neustria. The discovery of the preserved lung raised the question of how it could be preserved while the body was completely skeletonized. 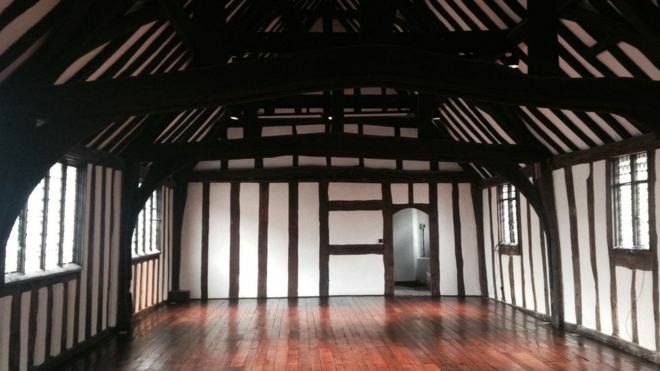 The original classroom where William Shakespeare is believed to have studied and seen his first plays opens to the public for the first time this weekend. The classroom is owned by the King Edward VI school, the direct successor to the grammar school in Stratford-upon-Avon attended by Shakespeare from about 1571. It will be open to visitors after a £1.8m lottery-funded renovation. Among the discoveries was a hidden pre-Reformation wall painting. UNIVERSITY OF YORK—A research team led by archaeologists at the University of York used traditional techniques to create replicas of ritual headdresses made by hunter-gatherers 11,000 years ago in North Western Europe. The research published today in PLOS ONE is the first scientific analysis of the oldest known evidence of a shamanic costume in Europe. It challenges previously held assumptions over the care and time invested in the modification of the animal's "skull cap" in order to create these ritualistic artefacts. "This research shows how experimental archaeology can give important insights into rare ancient artifacts," said archaeologist Aimee Little. An illustration of an Evenki shaman donning an antler headdress. YORK, England, April 13 (UPI) -- Researchers in England have spent the last four years reconstructing ancient shamanic headdresses found at an Early Mesolithic archaeological site in North Yorkshire. To get a better understanding of hunter-gatherer rituals, archaeologists at the University of York used flint blades, hammerstones and fire to recreate antlered deer skull caps. Their analysis of the oldest evidence of a shamanic costume in Europe suggests these hunter-gatherers spent significant time and effort on ritualistic dress. Researchers surveyed some 24 male red deer skull caps recovered from the Star Carr site -- all made from the top of the skull with the antlers attached. To make the skull caps, the lower jaw and cranial bones were removed while the frontal jaw bone was perforated. Archaeologists have discovered two mass graves near the Greek capital containing the skeletons of 80 men who may have been followers of ancient would-be tyrant Cylon of Athens. What Did Ancient Wine Taste Like? France is famous for its wine, and for good reason ... they've been making wine longer than anyone else. Two Neolithic monuments, prehistoric pits and an Anglo-Saxon cemetery of 150 graves containing spears, knives, jewellery and bone combs have been discovered at an army site where anti-tank weaponry was tested during World War Two. One burial at Bulford has been radiocarbon dated to the mid Anglo-Saxon period, between AD 660 and 780. The graves have been found as part of a £1 billion Ministry of Defence development to create 1,000 homes for service personnel. Archaeologists are now planning to excavate the monuments next to the cemetery, which are made up of Early Bronze Age round barrows and are likely to become scheduled monuments. Grooved ware pottery, stone and flint axes, a disc-shaped flint knife, a chalk bowl and deer and extinct wild cattle bones were found in the pits. 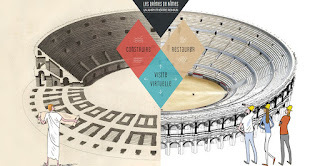 Ce webdocumentaire retrace l’histoire des arènes de Nîmes, l’amphithéâtre le mieux conservé du monde romain, des origines de sa construction aux actuelles campagnes de restauration. À destination de tous, notamment du jeune public, son approche ludique et interactive intègre les données les plus récemment acquises sur le monument. 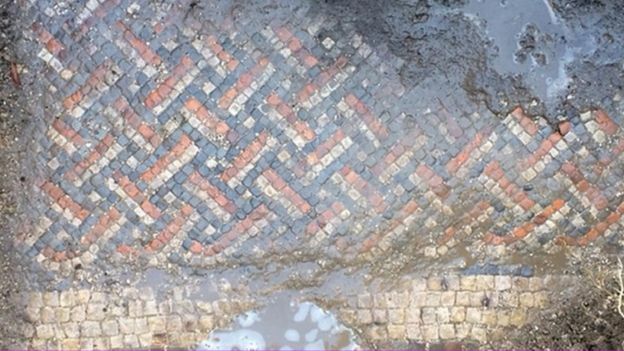 An "elaborate" Roman villa has been unearthed by chance by a homeowner laying electric cables in his garden in Wiltshire. It was discovered by rug designer Luke Irwin as he was carrying out some work at his farmhouse so that his children could play table tennis in an old barn. He uncovered an untouched mosaic, and excavations revealed a villa described as "extraordinarily well-preserved". Historic England said it was "unparalleled in recent years". 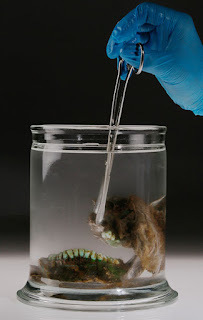 Iceland’s “woman in blue,” the partial skeleton of a young woman found in 1938 in a grave with Viking-era objects, was a child of some of the island’s earliest settlers, researchers reported April 14 at the annual meeting of the American Association of Physical Anthropologists. Tooth development and wear suggest she was between 17 and 25 years old when she died. 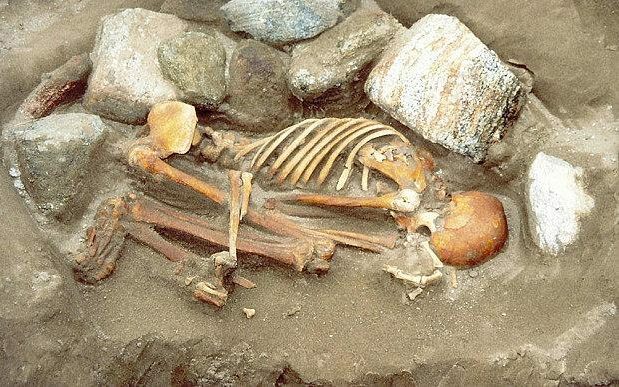 It’s not known if the woman was a Viking or if she came from another northern European population, said bioarchaeologist Tina Jakob of Durham University in England. A chemical analysis of one of her teeth indicates that, between ages 5 and 10, she started eating a lot of fish and other seafood for the first time after having previously consumed mainly plants and land animals, a team led by Jakob and Joe Walser III of the University of Iceland in Reykjavik found. 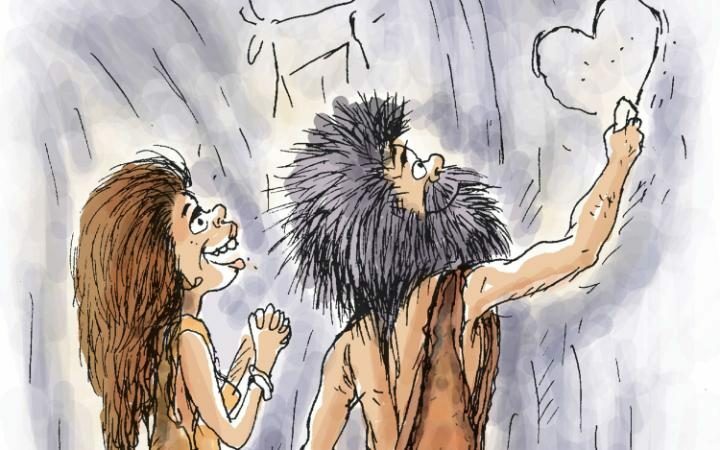 The answer is germs, researchers said on Tuesday, arguing that the havoc caused by sexually transmitted diseases (STIs) convinced our ancestors it would be better to mate for life. Falling population numbers would force a rethink of sexual behaviour - which in turn gives rise to social mores. 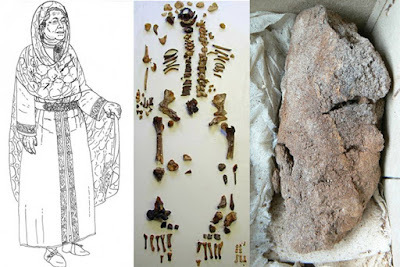 A 10th century church with a necropolis has been discovered by the Ruse archaeologists during their participation in the rescue digs in the nearby Danube city of Silistra, the modern-day heir to Durostorum (in the Antiquity) and Drastar (in the Middle Ages). A church from the 10th century, dozens of medieval graves, and coins testifying to the Tatar (Mongol) invasion of theSecond Bulgarian Empire (1185-1396 AD) in 1242 AD have been discovered during rescue excavations of the medieval city of Drastar, known as Durostorum in the Antiquity, in today’s Danube city of Silistra in Northeast Bulgaria. These findings have just been presented to the public by archaeologists Nikola Rusev and Varbin Varbanov from theRuse Regional Museum of History; the discoveries were made in the late summer and fall of 2015 when their team participated in the rescue excavations in the city of Silistra after a local water supply rehabilitation project exposed a number of archaeological structures from different time periods. The rescue digs in Silistra, which was a major regional center in the Antiquity and Middle Ages, continued for several months as part of the rehabilitation of the city’s water supply and sewerage system. They also led to the discovery of the outer fortress wall of the Ancient Roman city of Durostorum (as the city was known in the Antiquity period).